contributing to empowerment of the youth from Ex-Yugoslav region, with the emphasis on their active role in the society through theatre. In accordance with the EU Youth Strategy, the project aims to provide more and equal opportunities for young people through non-formal theatrical education and encourage them to actively participate in society, using theatrical tools. The project increases access to culture and creative theatrical tools for disabled youth and supports the development of creativity, open mind and critical thinking among young people. 6 presentations of the documentary film about the project. 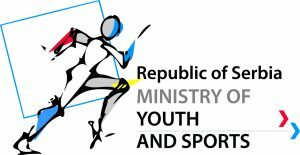 The project will directly benefit 7 organizations, 7 coordinators and 21 youth workers from participating organizations, 18 young participants of youth exchange and 10 deaf participants of the activities. Indirectly, it will benefit around 60 colleague-youth workers of the partners’ organizations, around 150 young people-target groups of partners who they work with, around 150 spectators of the youth mobility presentation, around 150 spectators of the performance by deaf people, around 2000 spectators of the festival of theatrical pedagogy, around 1000 people who will watch screenings of the film about the project in 6 cities, and several thousands of people across Europe, especially young, who will be reached by live streams of the public events and film which will be available on-line. All contents of the project will be available in sign language.